Bonita Sanchez, MSW has been named Interim Executive Director for NASW-NYS. 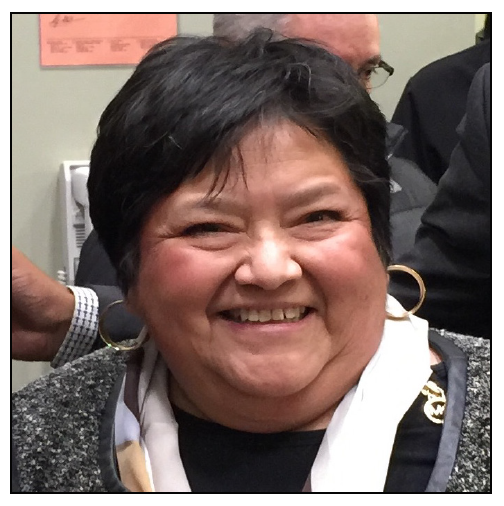 The National Association of Social Workers – New York State Chapter (NASW-NYS) Board of Directors is pleased to announce Bonita Sanchez, MSW as Interim Executive Director of NASW-NYS. We are confident Bonita will provide stable leadership during this time of transition and keep us on this amazing path we have solidified until a new Executive Director is named. Bonita has been an active member of NASW for nearly four decades. She has held several leadership positions at the state and national level, including Treasurer (1982–1992), Vice President (2000-2002), and Regional Representative (2018-2019) for the NASW-NYS Chapter and served on the NASW National Legal Defense Trust Fund (1989-1993). Additionally, she has served on various NASW-NYS Chapter committees, most recently as the Chair of the Committee on Nominations and Leadership Identification (2012-2018). Previously, Bonita worked in the field of developmental disabilities and children and families for 12 years before becoming a social work educator in the 1980s – first at Siena College and later as Assistant Dean and Director of Field Education at the University at Albany’s School of Social Welfare, where she helped qualify over 10,000 social work students at the university for 28 years before retiring in 2011. She later assumed the role of Field Liaison for the School of Social Welfare – a position she continues to hold today. For her outstanding contributions to the field of social work, Bonita was awarded the 2018 NASW-NYS Lifetime Achievement Award. Bonita will partner with the NASW-NYS Board of Directors on organizational planning and the Executive Director search, as well as oversee staff operations. Our Chapter remains committed to serving our members at the highest standards and hosting a successful conference this June. Please join me in welcoming Bonita Sanchez! You can reach NASW-NYS Interim Executive Director Bonita Sanchez, MSW, at bsanchez.naswnys@socialworkers.org or by calling NASW-NYS at 518-463-4741.